Divorce is governed primarily by state law, so Georgia laws generally determine how divorce works in Georgia. There is no such thing as a military divorce, and military courts cannot grant divorces. However, federal laws give military members and their spouses certain benefits, and some of these laws affect divorce in state courts. Georgia offers 13 grounds for divorce, including the no-fault ground that the marriage is “irretrievably broken.” You or your spouse must be a resident of Georgia for at least six months before you can file, but that six-month requirement is extended to a year if you live on a military base. You can also qualify to file in the state if Georgia was the last place you and your spouse lived together. For example, if you both moved away from Georgia and now live in separate states, you may still qualify to file in Georgia if that was the last state where you lived together. Once you file your divorce paperwork, your spouse has the opportunity to respond to the papers you filed. Military members who cannot properly respond or appear in court because of military obligations have the right to receive a delay, or stay, of court proceedings for at least 90 days. This right is created by the Servicemembers Civil Relief Act, a federal law. After the initial 90-day stay, judges have the option to grant a longer stay. If you and your spouse agree on how you want your property divided in your divorce, you can create a settlement agreement listing those terms. Courts generally adopt such settlement agreements as part of the divorce. If you cannot agree, however, your divorce court will split your property equitably, though not necessarily equally. This equitable division applies to all marital property, which is property acquired during the marriage except by gift or inheritance. Retirement pensions are considered property, and a federal law allows state courts to divide military retirement pay along with your other property. 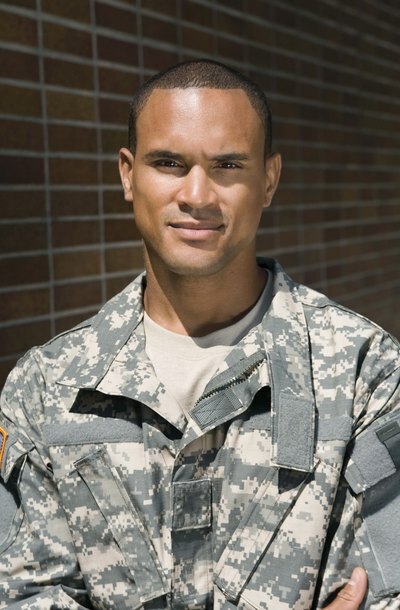 This law, known as the Uniformed Services Former Spouses Protection Act, also determines what military benefits you, as the non-military spouse, get to keep after your divorce. If you were married for at least 20 years, your spouse performed at least 20 years of military service, and there was at least 20 years of overlap between your marriage and your spouse’s military service, you qualify to keep many of your military benefits, including health care and exchange and commissary privileges. Georgia courts determine child custody as part of all divorces involving children, but Georgia’s Military Parents Rights Act gives additional help to military parents fighting for child custody. Under older laws, a military parent’s time away from home counted against him in child custody disputes, but Georgia’s current law does not allow non-military parents to use military duty as the sole reason to ask a court for custody modifications. Judges are also prohibited from issuing final custody orders while military parents are deployed or within 90 days after they return. Illegal immigrants have almost the same legal rights as citizens in the U.S. -- at least with regard to marriage and divorce. The Fourth and Fifth Amendments of the Constitution guarantee immigrants equal protection under the law and the same access to U.S. courts.The legal process to divorce an illegal immigrant is the same as the process to divorce a citizen. Getting divorced is complicated, but going through one while you or your spouse is on military deployment makes matters even more challenging. The military has its own laws regarding divorce. In addition, the federal government has created legal protections for members of the U.S. armed forces who are deployed -- in other words, away from the United States on military duty. The divorce of a service member, whether in the Air Force or any other branch of the military, is handled in a civilian state court. A spouse filing for divorce must meet state residency requirements, and the division of assets and benefits between the couple also is handled in accordance with state law. However, there are several unique wrinkles governing the divorce of a military member, especially if he is deployed oversees.